Available sublease office space is on the rise once again in Los Angeles County. It is up 4.3% from the prior quarter and is 10.7% higher from last year. Click here to link to a full list of Los Angeles County available sublease spaces. 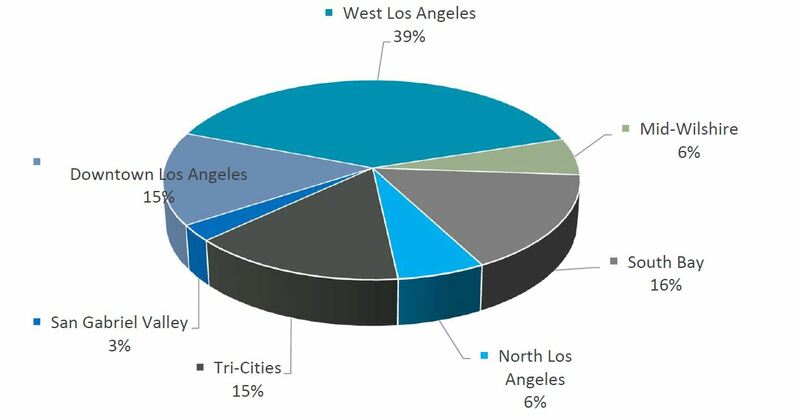 Los Angeles County Available Sublease Space and Average Asking Sublease Rents. Sublease space is typically offered on the market at a discounted rate to entice a prospective tenant to take the space as is for the remaining term of a lease. 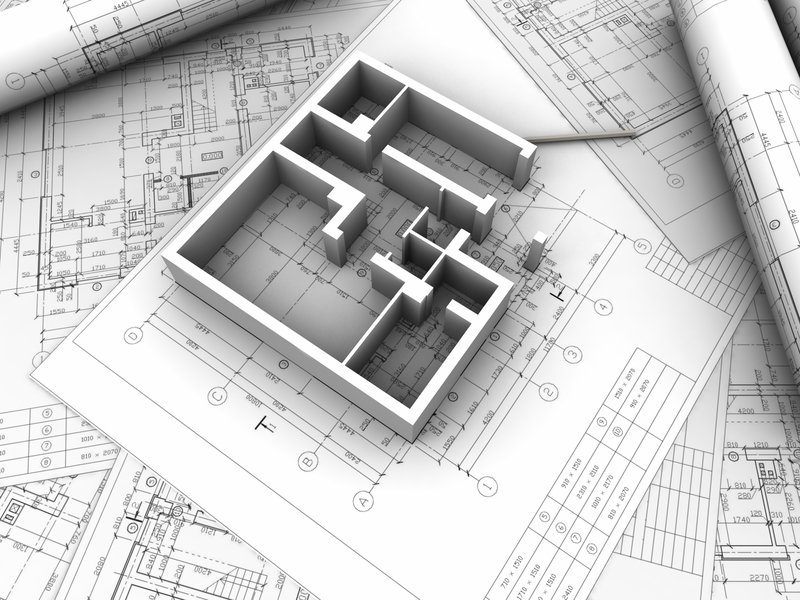 A sublessor is motivated to put excess space on the market in an effort to recoup part of the cost they are on the hook for to the landlord as part of their original lease. As the availability of sublease space begins to pile up, the market for sublease space gets softer and the gap between direct and sublease space begins to widen. Click here to contact Forrest Blake the Commercial Real Estate Negotiator at NAI Capital. In the first quarter of 2016 the average asking rent for sublease office space was $2.59 SF, representing a 6.2% discount when compared to the average asking rent for direct space. Last year the discount between sublease and direct space was 5.4%. In 2011, when space sat on the market for long periods of time sublease asking rents were 18% lower when compared to direct space. 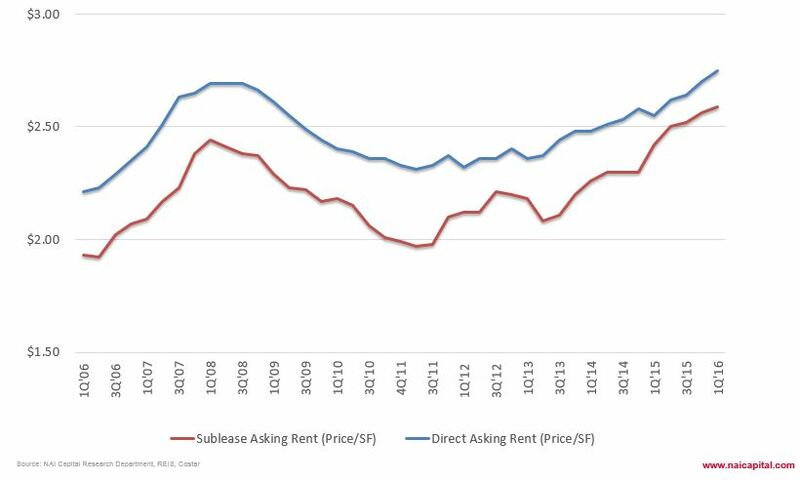 Sublease asking rents have risen 7.0% year over year as more expensive sublease space has hit the market. 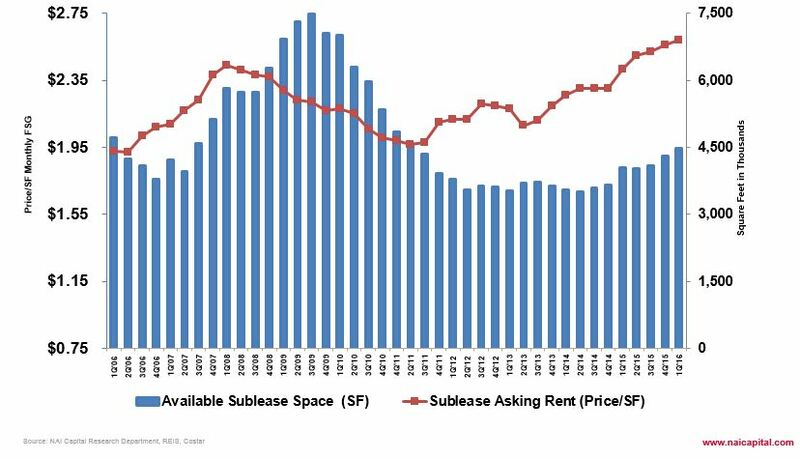 With space siting longer on the market, sublessors are going to be motivated to reduce rents. CURRENTLY AVAILABLE SUBLEASE OFFICE SPACE IN THE LOS ANGELES MARKET or Click here to contact Forrest Blake the Commercial Real Estate Negotiator at NAI Capital. Please contact Forrest Blake at 310-850-2381 or fblake@naicapital.com to discuss the opportunities or schedule a tour.